These are generally in luxury camps and/or lodges, although cheaper accommodation can be arranged to suit your budget. During the high season period, many lodges on the safari circuit become fully-booked early on. 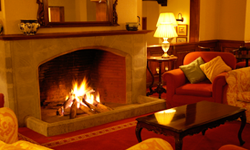 It might therefore be necessary to change your accommodation to a different (though similar standard) hotel or lodge. The following are some of the accommodations which Safari Focus Ltd. uses…. 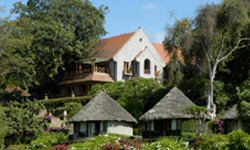 Ngare Sero Mountain Lodge, set in beautiful gardens and located up on the slopes of Mount Meru, was originally a colonial German homestead. They offer horse-riding, trout fishing and boating on the river which flows through the property. 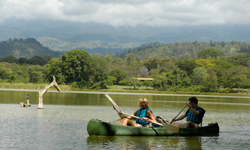 Serena Mountain Village is sited on an old coffee farm near the shores of Lake Duluti, 20 km from Arusha and 60 km from Kilimanjaro International Airport. The Arusha Hotel offers pure luxury and peace in the heart of Arusha, surrounded by lush gardens and overlooking the Clock Tower monument. KIA Lodge is located just 3 minutes drive from Kilimanjaro International Airport (KIA). The lodge offers free transfers to and from this airport. Tarangire Safari Lodge, set on a ridge overlooking the Tarangire River, is still considered the best place to stay because of its plethora of birds and wildlife combined with fantastic views all around. 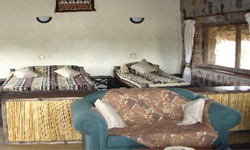 Tarangire Sopa Lodge is also situated inside the Park and conforms to all the usual Sopa group standards of excellence. Lake Manyara Serena Safari Lodge is located on the Great Rift Valley escarpment, overlooking Lake Manyara National Park and 130 km drive from Arusha. 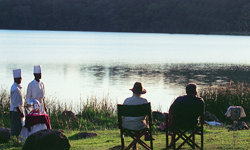 Kirurumu Tented Lodge is also perched on the escarpment overlooking the Lake; their spacious and well-appointed tents are raised on stilted platforms, each surrounded by natural vegetation and shrubbery. Gibbs Farm, the ultimate in luxury accommodation, is sited on a coffee plantation just a short drive from Karatu town centre. Karatu is a farming area on the lower slopes of the Ngorongoro Highlands and a good base for visits to Lake Eyasi and the Hadzabe bushmen (last of the hunter/gatherer tribes in Tanzania). Ngorongoro Serena Safari Lodge is another luxury lodge, perched on the rim of Ngorongoro Crater with spectacular views of the Crater floor and surrounding landscape. The Crater Lodge is also located on the Crater rim and represents opulence beyond your wildest dreams. Ngorongoro Sopa Lodge is a good alternative, situated on the far side of the crater rim and with its own access road to the Crater floor. 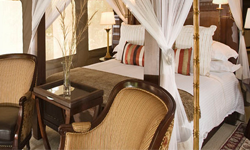 Serengeti Serena Safari Lodge is set high on a tree-covered ridge in the heart of the Serengeti National Park. 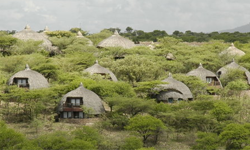 Mbuzi Mawe Tented Camp is located on one of the main wildebeest/zebra migration routes. Kirawira Luxury Tented Camp is located in Western Serengeti, 110 km from Seronera airstrip, 16 km from Grumeti airstrip and a 399 km drive from Arusha. 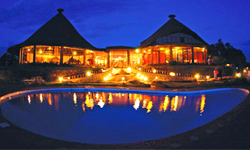 Serengeti Sopa Lodge is also situated in central Serengeti; good value for money. Best of the few lodges in Ruaha National Park is Ruaha River Lodge. Sited among Baobab tree-shaded rocky kopjes in an isolated spot on the banks of the Great Ruaha River, this lodge really gives a feel of timeless African wilderness. 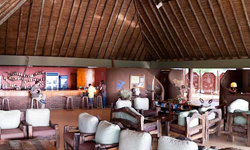 Selous Luxury Camp staff will meet/greet you at Steigler’s Airstrip, half-an-hours game drive away for an amazing stay at what has been described as “a triumph of opulence” in the African bush. Mivumo River Lodge is built on timbered decks above the banks of the great Rufiji River and offers just 12 luxurious chalets – the perfect honeymoon hideaway! 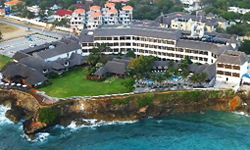 Zanzibar Serena Inn is situated on the oceanfront off the old Stone Town, and is a haven of tranquility just 7 km from Zanzibar International Airport. Emersons & Green epitomizres the old Arab history of Zanzibar. This hotel is sutuated in central Stone Town. 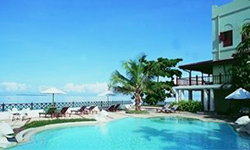 La Gemma del Est is a beautiful hotel on the North Coast of Zanzibar Island; on the East Coast we recommend Mapenzi Beach Club & Zamani Kempinsky. Of the many hotels in Dar es Salaam, we would recommend White Sands Hotel, Beach Resort and Conference Center, Sea Cliff Court Hotel complex (the complex comprises 68 luxury service suites with a mixture of studios and services apartments). Holiday Inn is good value and located within walking distance of all the major diplomatic missions and embassy/consulate buildings. Other good hotels in Dar es Salaam include The Kilimanjaro Hotel and Dar es Salaam Serena.